Dr Danny R. Faulkner has a B.S. (Math), M.S. (Physics), M.A. & Ph.D. (Astronomy, Indiana University). He is Associate Professor at the University of South Carolina–Lancaster, where he teaches physics and astronomy. 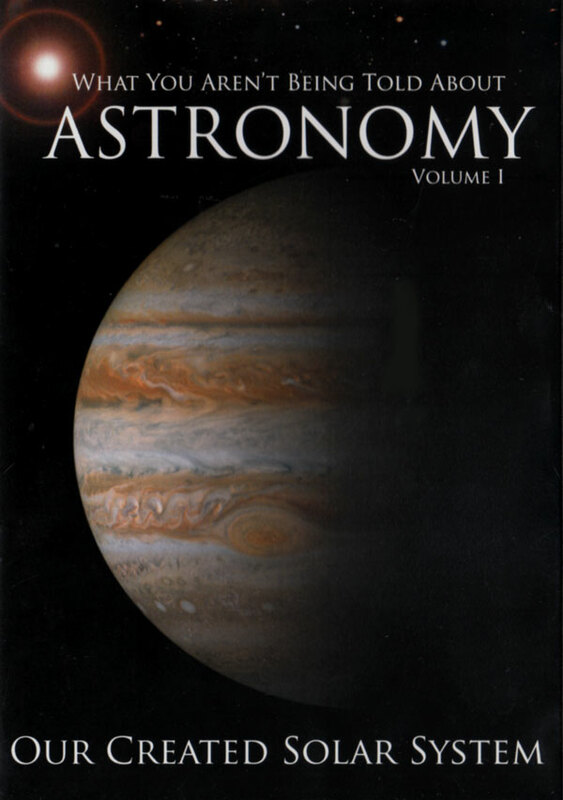 He has published about two dozen papers in various astronomy and astrophysics journals. Carl Wieland/Jonathan Sarfati [CW/JS]: Dr Faulkner, how did you get interested in astronomy? Dr Faulkner [DF]: Well, I can honestly say there hasn’t been a time in my life when I’ve not been interested in astronomy. I recall being three or four years old, looking up at the sky, being amazed at what was up there. 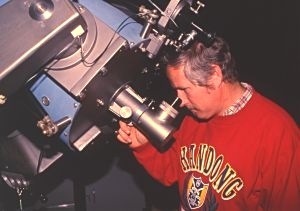 CW/JS: Many people have this image of an astronomer, sitting there each night staring into a telescope. DF: There really aren’t any who spend all of their time looking through telescopes. The few research astronomers who do spend a good deal of time—they have to analyse the data they collect, write it up, plan future observations. So even the ‘full-time researchers’ probably only spend about two months of the year actually observing. Most astronomers, like myself, have an academic job teaching in university or other related jobs and we do research when we can. Usually I get in seven to fifteen nights a year at a local observatory and a few more when travelling elsewhere. I had a conversion at age six. My father was a minister of a small church and just as I can’t remember not being interested in astronomy, I can’t remember not going to church. Some teach that the big bang theory of how the universe evolved is such an obvious fact that we should accept it as if it had been written in the ‘sixty-seventh book of the Bible’. I’m really concerned with people who put that much faith in the big bang. It is the overwhelmingly dominant model … But it has many problems. Genesis teaches that the earth was created first and then the sun, moon and the stars were created three days later. Is there any observation in your field of astronomy which would disprove this, or make it difficult to believe? No. Most astronomers as well as geologists argue that the universe is aged 20 billion years, and the earth ‘scarcely’ 4.5 billion years old. All that’s really built upon a lot of indirect evidence and arguments—evidence that could very easily be interpreted other ways, and there are some other astronomical suggestions that the solar system and the earth and the rest of the universe are not really that old at all. Can you give us some of these? First, comets disintegrate too rapidly to have been in their present orbits for all those billions of years. So evolutionists theorise about a shell of comets, an ‘Oort cloud’ too far out to see, to act as a way to ‘restock’ the inner solar system with comets every so often. Probably six to eight thousand years. Have you ever doubted what the Bible teaches about recent six-day creation? Not seriously. I may have gone through a brief period when I was in high school or so, due to encountering people who were into theistic evolution, but then I got a copy of one of Henry Morris’s early books. 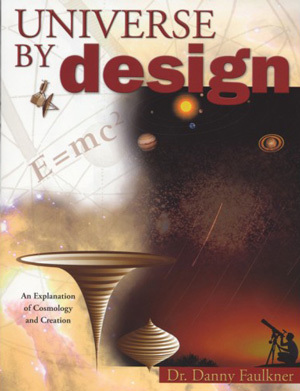 Then I learned more and more about other scientists who believed in a recent creation. Why is it important to believe in this? Well, we have a very clear indication from Scripture that the creation really took place in six ordinary days [see How long were the days mentioned in the biblical creation account?]. And if you think it didn’t, then you are going to have to ask the question, ‘How do you know that it didn’t happen that way?’ Good biblical exegesis will simply not allow for a much greater length of time [see How long were the days of Genesis 1?]. And once you decide you are going to let ‘science’ dictate how you are going to interpret Scripture then there is no end to it. I recently read about former U.S. president Jimmy Carter, quoted as saying that he believes in the Virgin Birth but he doesn’t believe that the world was created in six days. I think if asked why not, he would say, well, because of overwhelming scientific evidence. And I think I would reply to that, the overwhelming scientific evidence is that a virgin birth is not possible. So be consistent on this point; one’s a miracle, so is the other. If you don’t believe in recent six day creation then it opens the door to serious doubts about the Virgin Birth, about the Resurrection; those would also be scientific ‘impossibles’. What about the argument that the universe must be old, because light would take millions of years to get here from distant stars? That has long been the biggest challenge for creationists. There have been several suggested answers—one from Australia around 13 years ago was [Barry] Setterfield’s possible drop in the speed of light. When I first encountered that I thought it was a pretty good idea, but there are a lot of consequences of that and I don’t any more think it is the answer. Perhaps the most common idea is that God created the light in transit. I have a real problem with that one. For example, when a distant supernova explodes, there is all sorts of detailed information in the light—the speed of expansion, what isotopes are involved, even sometimes a reflected light echo from nearby gas. Yet if the light was created ‘on its way’, all this is phony information—nothing like it ever occurred. This reminds me of a fellow named Gosse who was saying over 100 years ago that God created fossils inside the earth ready-made. I think this ‘light created on its way’ idea is a first cousin of Gosse’s notion. So what idea do you like? 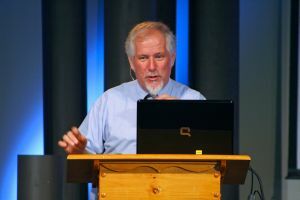 I got really excited with the cosmology which Russ Humphreys presented three years ago in Pittsburgh. 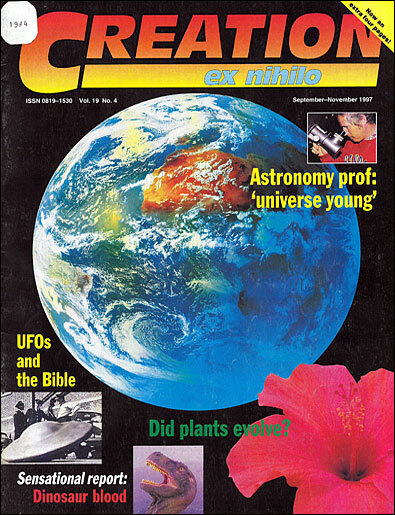 It’s the first serious attempt that young-world creationists have offered as an alternative for first of all the universe itself—cosmology—and second a very detailed explanation for the distant starlight issue.1 I think that’s very impressive, and even if it turns out that Russell’s not right he’s certainly leading the way in that kind of work. What about stars claimed to be forming today? The Psalmist writes that the heavens declare the glory of God. What do you see as the best evidence for that? I think the universe is a mighty beautiful place—I view God as the supreme artist. Then we see that there are a lot of incredible and unique things about the earth which make life possible. For example, as far as we know, liquid water only exists on the earth. We see water in vapour form in the atmospheres of several planets, in stars and the material between them. We’ve identified water in solid form—on Mars, on asteroids and comets, possibly even on Mercury. But the only place we know for sure2 that there is liquid water, one of the essential ingredients for life to exist, is on Earth. Even if it were proven elsewhere, liquid water would still be an amazingly rare and precious commodity that the earth has in abundance. See Dr Humphreys’ popular book Starlight and Time for a lay and technical explanation of this model. Return to text. Note that there is now doubt about the claim of ice in moon craters (New Scientist, 14 June 1997, p.13). Dr Faulkner said to us after the interview that the alleged evidence for subsurface liquid water on Europa, one of Jupiter’s moons, is much more speculative and indirect than most think. Return to text.